Next up on our Song-By-Song preview is the official entry from Portugal, “O jardim” by Claudia Pascoal, written by Isaura. The song is performed in Portuguese. It seems like many performers at EuroVision over the past few years have been involved in television talent shows, and Pascoal is no exception; she has appeared on Idolos (Portugal’s “Idol” franchise entry ) and Factor X (which is, hmmmm, Portugal’s ‘X Factor’ franchise? Heh Heh). As last year’s winner and this year’s host in Lisbon, the song gets an automatic “bye” advance to the Grand Final on May 12, where it will be performed eighth in the competition order. The song is a very lush ballad, well suited to Pascoal’s beautiful voice, and has a bit of the Celine Dion factor, although not quite as dynamic; perhaps Sarah McLaughlin would be a better comparison. Although the song is performing well in views on the EuroVision official YouTube channel, it’s one of those songs that will probably find success in Europe, but in all honesty, I doubt it has much of a chance to dent the US Charts. THe song is also extremely short, clocking in at just under 2:45 , which is short even for a EuroVision entry. 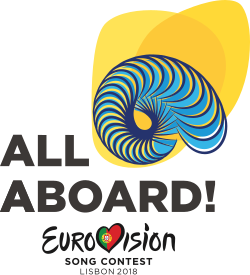 Here’s the official music video from the Portugal national contest – take a look! The film told the story of a harried day in the life of a group of close knit employees of a large mom and pop record store in Jersey, when washed up pop star Rex Manning was coming for a signing after revitalizing his career with a George Michael like career revival. The film barely got a release, and got horrible notices from the snooty film critic community, but the fans embraced it, and time has been very kind to the critics’ reaction as well. At the time I was working in a record store, and ALL of the employees immediately embraced it for its realistic situations, its off the wall sense of humor, and its stellar soundtrack. The film helped launch the careers of Liv Tyler, Ethan Embry (then known as Ethan Randall), Renee Zellweiger, Robin Tunney, Johnny Whitworth, Debi Mazar, and Rory Cochrane, and also starred Anthony LaPaglia, Coyote Shivers, James “Kimo” Wills, Brendan Sexton III, and of course, Maxwell Caulfield as Rex Manning. Deadline reports that the film is being developed for Broadway by producer Bill Weiner, who’ll work with the film’s original writer Carol Heikkinen, with new music and lyrics by Zoe Sarnak, the 2018 Jonathan Larson Grant winner for her upcoming musical Afterwords.